When your medical care requires more than a first aid kit but less than an emergency room, Montefiore Medical Group (MMG) Urgent Care provides exceptional care for non-life threatening illness or injuries. 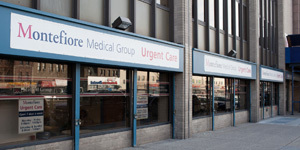 MMG Urgent Care is co-located at our Bronx East, Grand Concourse and Cross County practice locations. We are open seven days a week, including most holidays, to provide prompt medical attention when your primary doctor is unavailable. MMG Urgent Care offers walk-in medical treatment with a wide range of on-site services including X-rays, electrocardiograms (EKGs) and laboratory tests. On-site parking is also available. You should contact your regular physician for annual physicals, insurance referrals, medication refills, back-to-work clearance or other routine health matters. We recommend that you follow up with your primary care provider on all services you receive through MMG Urgent Care. For serious or life-threatening situations, or if you are uncertain of where to seek services, call 911 or go to the hospital emergency department (ED). 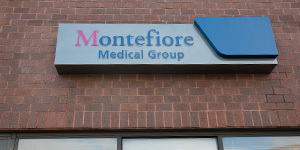 Choosing an MMG doctor means you gain access to Montefiore Medical Center and its extensive range of specialty services for your entire family. Our physicians are on the staff of Montefiore Medical Center, the University Hospital for Albert Einstein College of Medicine. We treat all major illnesses in a family-centered, compassionate environment. Patients can find our urgent care services at two MMG sites. Both locations are easily accessible by car and public transportation. Free parking is available at Bronx East. Call for detailed directions. Take the Bx04 or Bx22. Take the No. 6 to Zerega Avenue Station. Urgent Care is accessible from the Hutchinson River Parkway, the Cross Bronx Expressway and the Bronx River Parkway. Take the BX09 to East Kingsbridge Road. Take the B or D train to Fordham Road. We are accessible from the Bronx River Parkway and the Cross Bronx Expressway. Street and reduced rate garage parking are available.